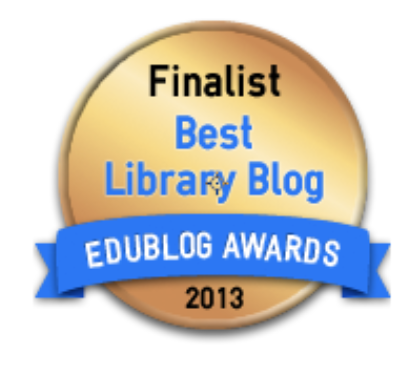 Augment Your Library With Capstone 4D...Watch Today! 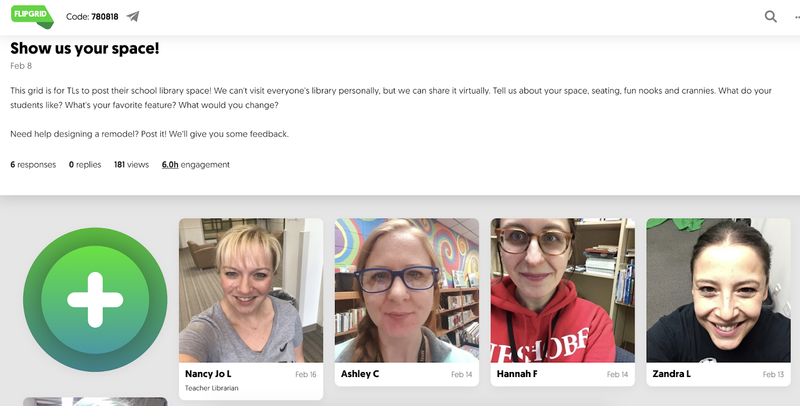 Today, I had so much fun presenting Augment Your Library With Capstone 4D online with my friends at Capstone. The webinar focuses on all things 4D including the story behind 4D; the benefits and uses; and the amazing books that make up the new Capstone 4D products. You can watch the recording of the webinar here and the slides are at the top of this post. Resources are linked within the slides. 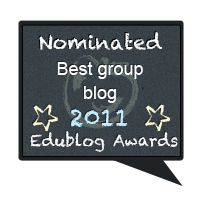 I have wrote about Capstone 4D on my blog over the last year. Please let me know if I can help or answer any questions you might have. 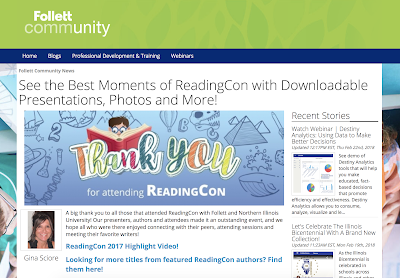 I hope you and your students have an amazing augmented reading experience with Capstone 4D in your libraries and communities too. And I would LOVE to hear how you are using 4D and what you students think....This would be a terrific addition for everyone to read. As we get ready to celebrate Read Across America tomorrow and reading everyday, I hope you find inspiration in this post as we connect our students to voices around the world through books and music. This is my most recent post on the Cantata Learning blog. You will find the original here. A few weeks ago, my family and I traveled to Chennai, India, for the ECIS Librarian Conference at the American International School of Chennai. There were librarians from over 50 countries at the conference. It was wonderful being able to connect and learn with everyone. These new friendships brought so much meaning to our trip as we learned about different places around the world. As part of our learning experience, we visited the American International School of Chennai where my friend Jeremy Willette (@libraryjet) is the Director of Library Service at the American International School of Chennai. When Hagan and I walked into the elementary library, we were greeted by tables labeled with different languages from around the world including Russian, Hindi, Arabic, German, and many more. On the top of each table were books the librarians had brought from around the world. They were getting ready for the International Book Swap! We enjoyed walking around the tables with the other international librarians, looking at books books we had never seen as well as ones that looked the same as books at home except for the different languages they were in. The visiting librarians were all very happy to participate and take books from other places back to their libraries. As we were walking around the library, we realized the library had an entire section of Cantata Learning! I was so excited to see all of these books all the way across the world in this special place in India. I was now even more excited to leave behind copies of the Library Skills series that I wrote with Cantata Learning and Emily Arrow. I just know they are going to love singing as they learn how to find a book and the other helpful lessons in this series! Jeremy and I found a chance to talk about the beautiful and diverse collection within his library, including the Cantata Learning stories and songs. He shared how they serve students from over 30 countries. Wow! I also learned the largest languages there in terms of what students speak are Korean, Japanese, and French. The library has books in over 50 languages plus the actual language section. Their language section makes up 11% of the collection but 24.9% of total check-outs! 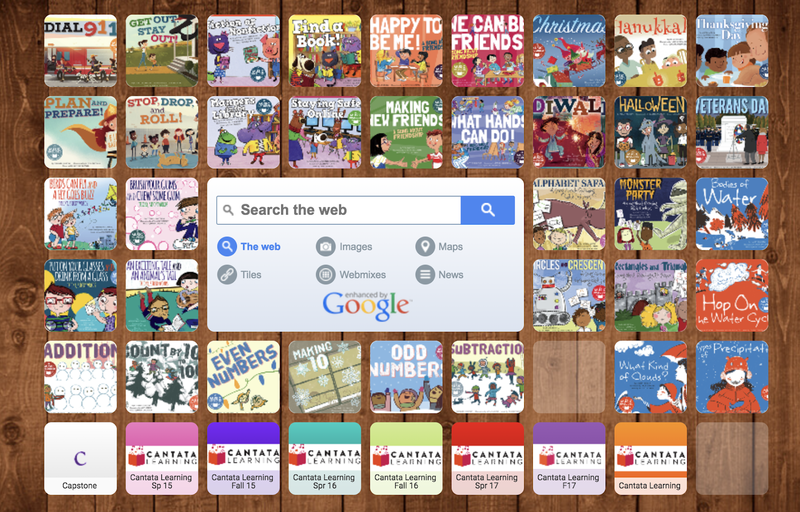 Students love our Cantata books and they get great circulation! 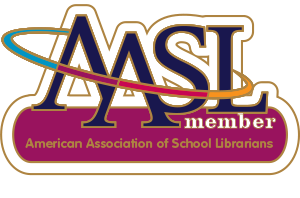 The fact that students can access the music of the books in multiple formats is a huge plus. They can use the QR code, visit the website, or play the CD. The delightful melodies and attractive illustrations are a big hit with our younger readers. 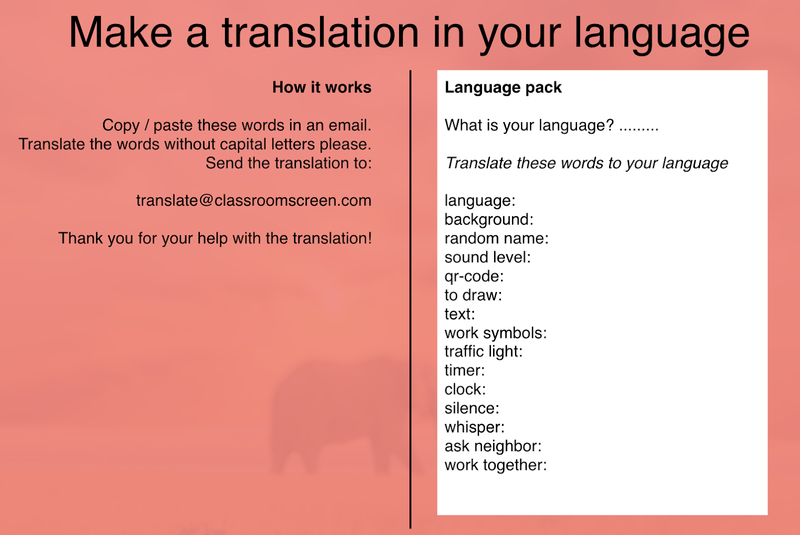 The sound-to-text possibilities are also very useful for our young students who are learning to read, both for native English and non-native English speakers alike. Later that day, I started to think about how wonderful it was for all of the children who use AISC to have access to Cantata Learning. 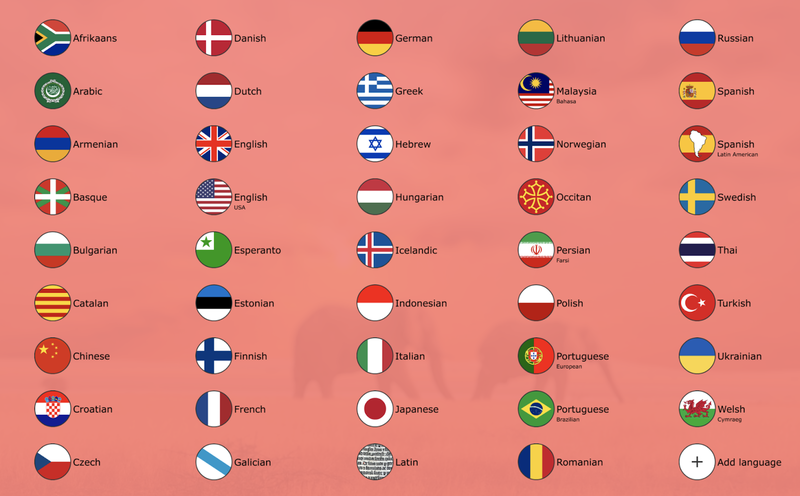 With over 30 countries represented, the music, stories and illustrations in these titles are such a wonderful way to support unity among this community. 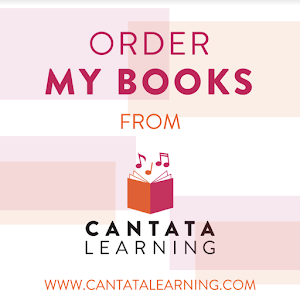 Cantata Learning books allow children see themselves in the pages as they read and sing along. With so many different types of children and places represented throughout the books, everyone can feel and be a part of the singing, reading, and conversations that takes place. After all, music is the universal language. When Jeremy shared the picture above with me, I just had to know the story behind this little girl’s smile. He said, “That’s what happens when a kid comes into your office, sees your tie, and wants a picture with you because you are the same.” I think I have been smiling ever since he shared that sweet little story. Remember this week, as we celebrate Read Across America, that libraries, music, books, and Cantata Learning can bring us together in so many ways! They bring friendship, love, and a way for us to connect voices around the world through books and music. We all have the power to bring a voice to each child that passes through our doors. This week, and every week, let’s make sure every one is heard. As you are celebrating the diversity within your library and community, please share how your students feel heard by using the hashtags #ReadYourWorld, #OwnVoice and #LoudLibraries! I spend a lot of time thinking about Makerspaces. These engaging spaces that bring creativity, tinkering, and exploration to our communities make me push the possibilities and potential of what these spaces and experiences can bring to our young people. For me it is fun to think about all of the different elements we can add to our Makerspaces. 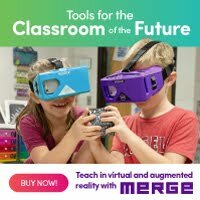 There can be duck tape, 3D printers, art supplies, recycled goods, old computer parts, wood, Makey Makey kits, Sphero’s, knitting needles and yarn, LEGO’s, playdough, wood, hot glue guns, fabric, paper, wire, and the list goes on and on. I thought about this last fall as I put together a presentation for a conference. 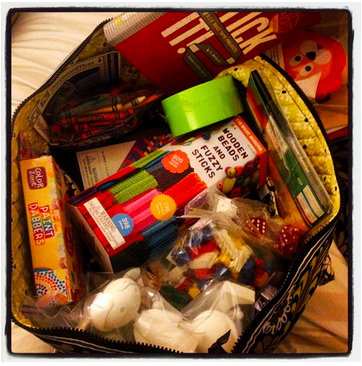 Since I was traveling to the conference, I put all of my Makerspace materials into a bag...and of course had to call it a Makerspace-To-Go. 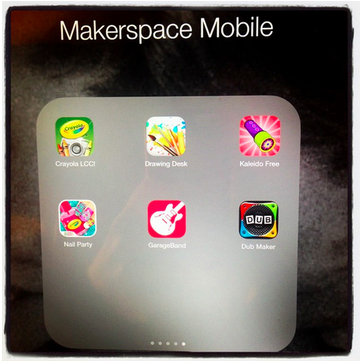 Makerspace Mobile out of all of the apps I had on my iPad and iPhone. 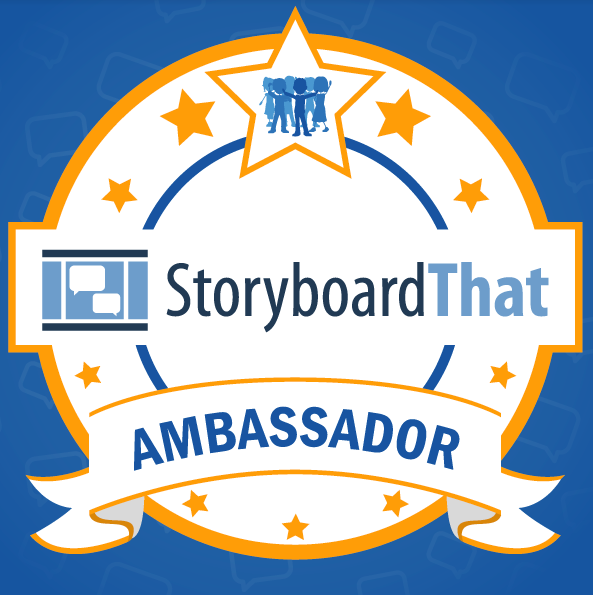 There are so many wonderful apps that fit into the tinkering and maker movement.....and our young people love them! 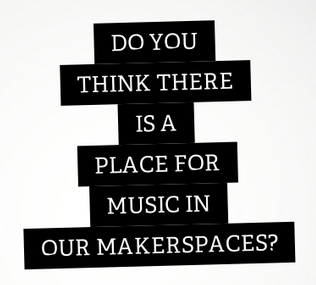 It is when I also started thinking about the place that music has within our Makerspaces. Who doesn't love music? Who wouldn't want to create their own music or create while listening to music? With music, there is definitely something for everyone. 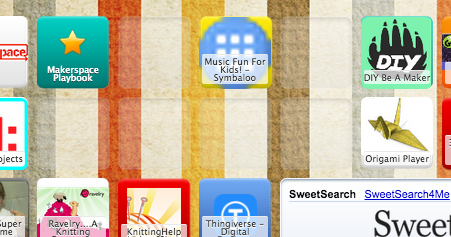 which I have put together the Music Fun for Kids Symbaloo. 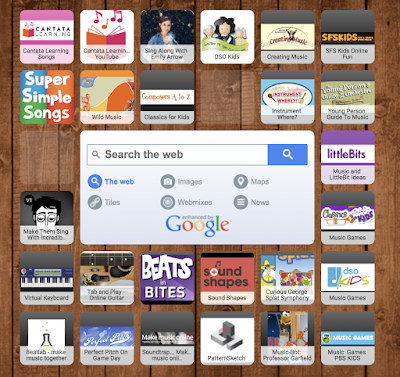 I have been filling it up with websites and resources tying music to our learners. Makerspace Symbaloo that I created last year to share with my school community and others. just like all of these ideas on the Homemade Musical Instruments Pinterest board. 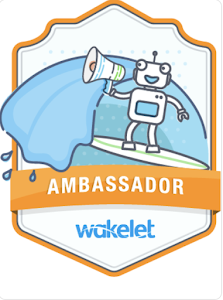 And even play music as part of our Makerspace community from websites such as Spotify and Amazon Music Prime. We had several Van Meter Library Voice Pandora playlists....The kids loved these! And it was fun to not only play them in the library but also to share them with the students to play them within their own personal Pandora accounts. 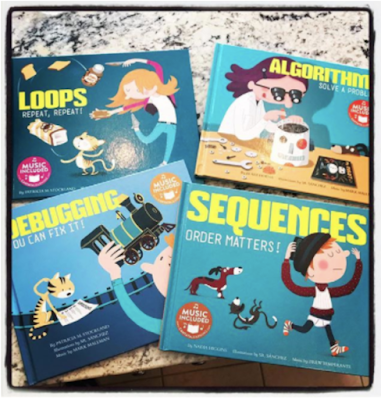 One of the things we can't forget about in our Makerspaces are books and digital resources. 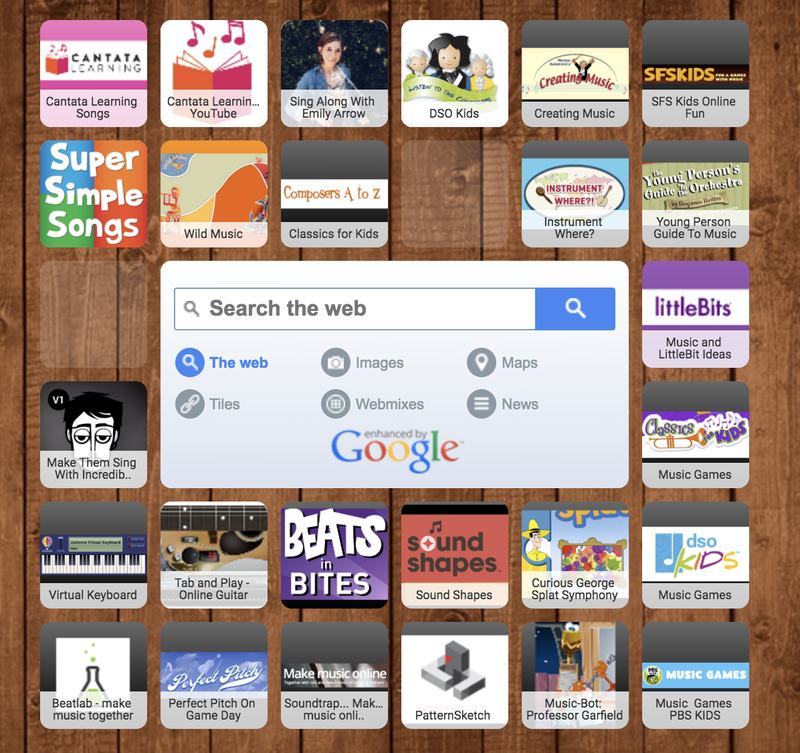 PebbleGo and more in the Makerspace and Makerspace-To-Go, I made sure to include dozens of wonderful resources in the Musical Fun Collection by Destiny. Within each resource added to the Collection, you can add a few ideas on how they can use them in the Makerspace. 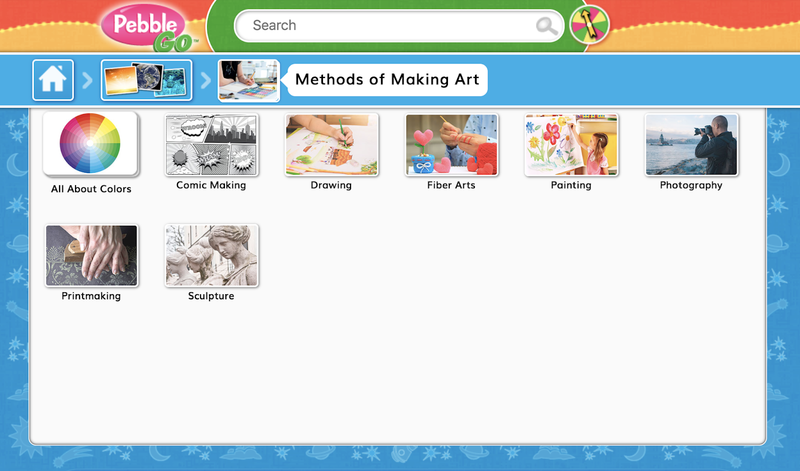 And just a little tip....Your students will LOVE the Methods of Making Art articles in PebbleGo! They are super cool and fun. And we can't forget all of the amazing stories and songs from Cantata Learning. 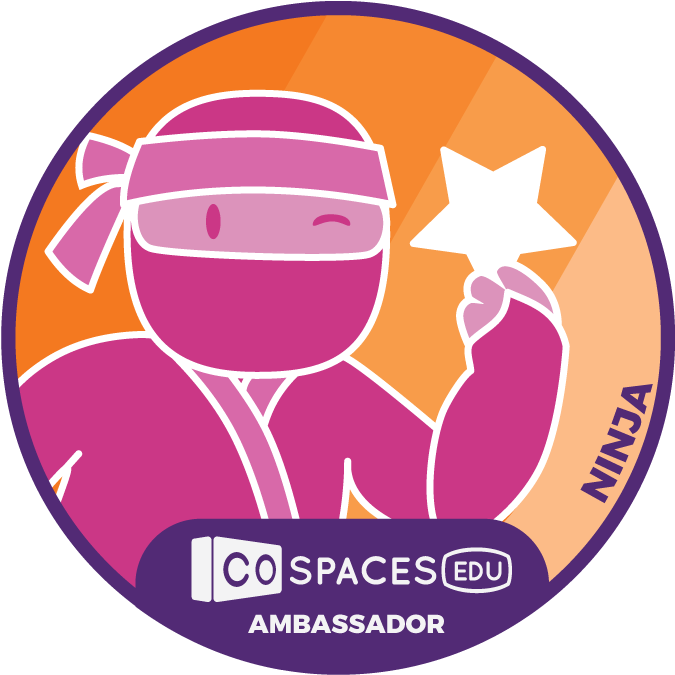 There are lots of topics, like the Code It Series, that you will be a perfect addition to any Makerspace. 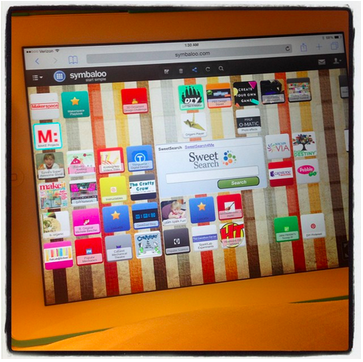 I have put together Symbaloo's of each season of the Cantata Learning songs to include in the Collection. This will make it very easy for our youngest learners to access and listen to any of the songs. I love that they can bring the music and stories to their homes or any place...Bringing tinkering and making right along with them. 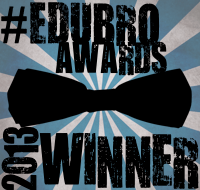 Is there a place for music in all of our classrooms and libraries…..and how does it fit in? Bringing music to children is one of the sweetest gifts you can give your students. And making music is something very special we don't want to miss in our Makerspaces. 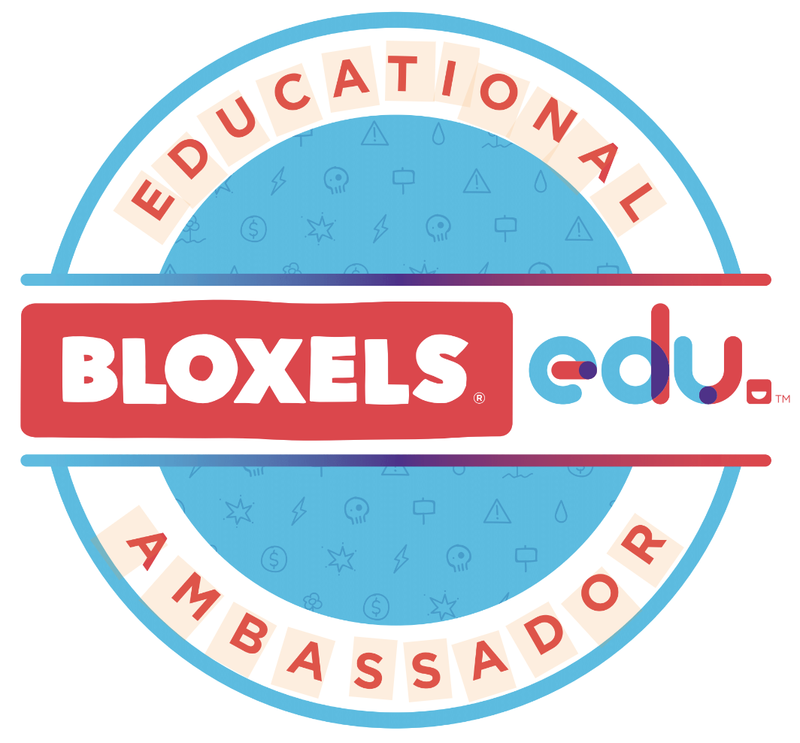 It not only empowers our children and gives them a voice…..It also brings a purpose and reason to creativity, engagement, and a whole lot of fun! 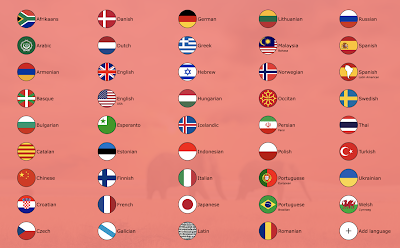 It connects us with a universal language and gives us another way to celebrate diversity and community. I can't wait to see how you bring music to your Makerspace too! Hagan, Eric and I recently went to India. While we were on our trip, Hagan learned so much about about all of the wonderful things that makes India such a beautiful and unique place. Today, he presented it to the other 7th graders at Van Meter Community School. He was excited to share what he experienced in India and all of the special people that we met. 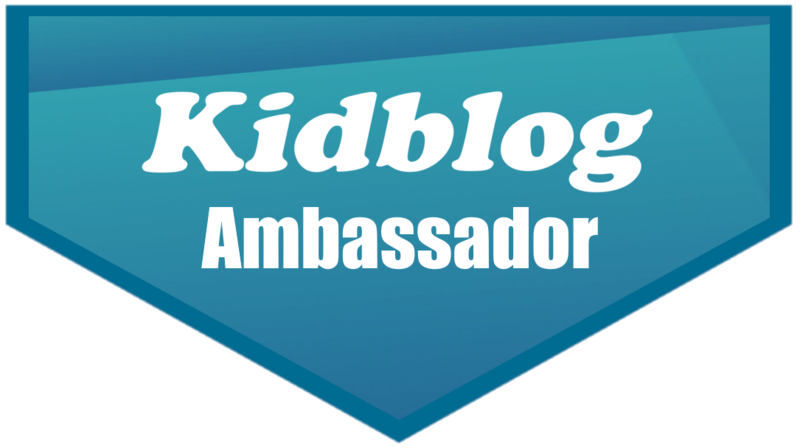 You can scroll through Hagan's project above or visit his Buncee here at this link. Check Out What's Coming to Collections Today! 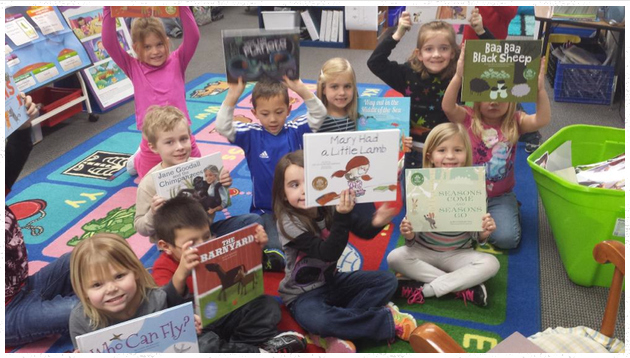 Follett had an awesome announcement yesterday in Follett Community! Today, they are releasing a few new updates to Collections by Destiny. 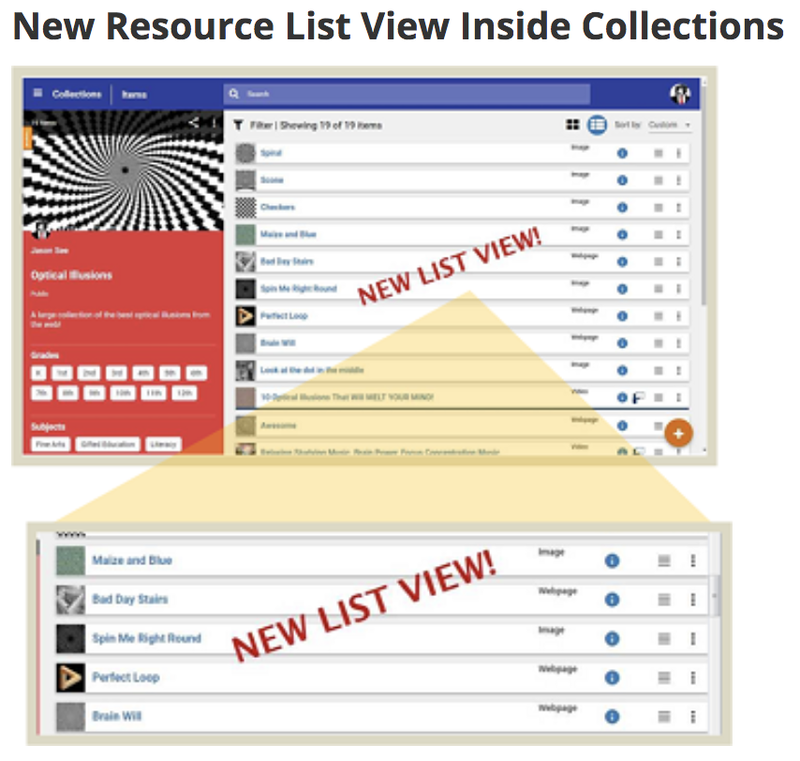 First, there is a NEW Resource List View inside Collections. 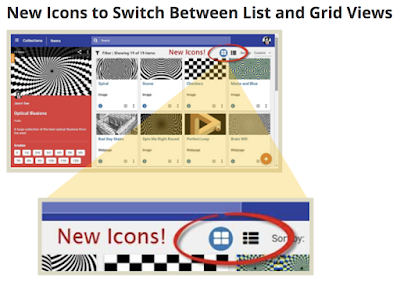 Second, their are NEW icons in the top, right hand corner will let you switch between List and Grid Views. With these updates, we will also find continued ADA Compliance Improvements (text-to-speech, colors, etc...) and other miscellaneous fixes and performance improvements. I can't wait to check these out tomorrow! 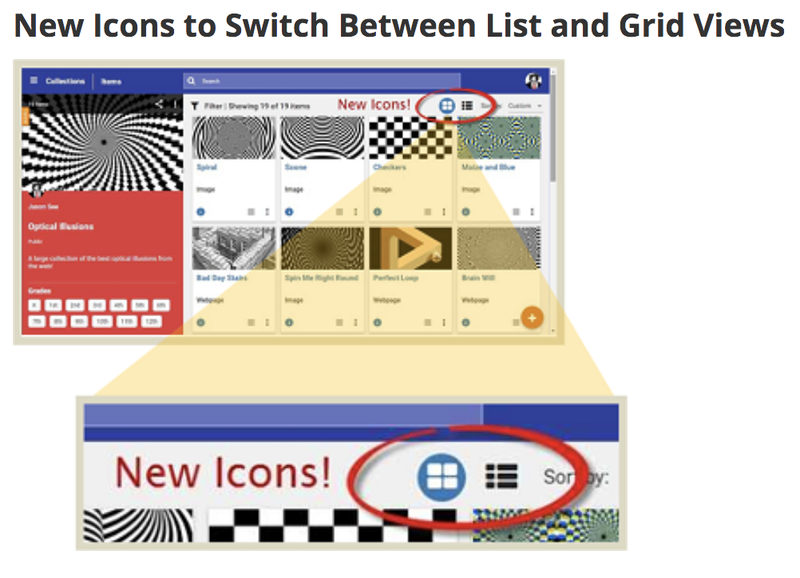 It will be helpful and fun to have these new additions when creating and using Collections. I love staying up to date on the changes and additions to Collections. 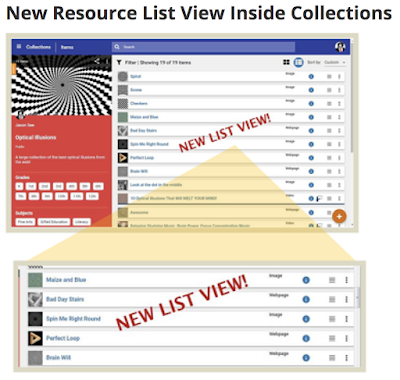 You can too by checking out the What's New In Collections page here. It is updated every two weeks! This is also where you find helpful resources and quick reference guides for Collections too. 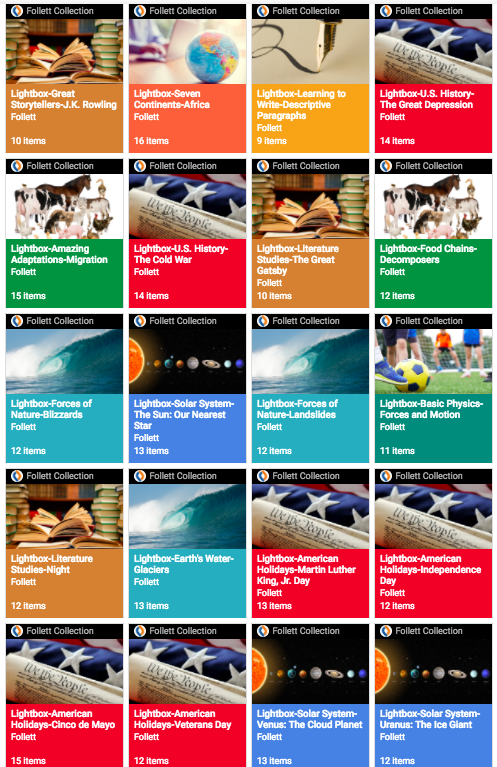 150 Lightbox Collections....Bringing So Much More To The Interactive Reading and Learning Experience Within Lightbox! 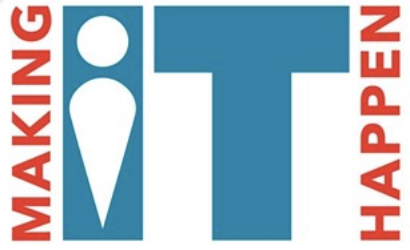 Have you heard the news from Follett? 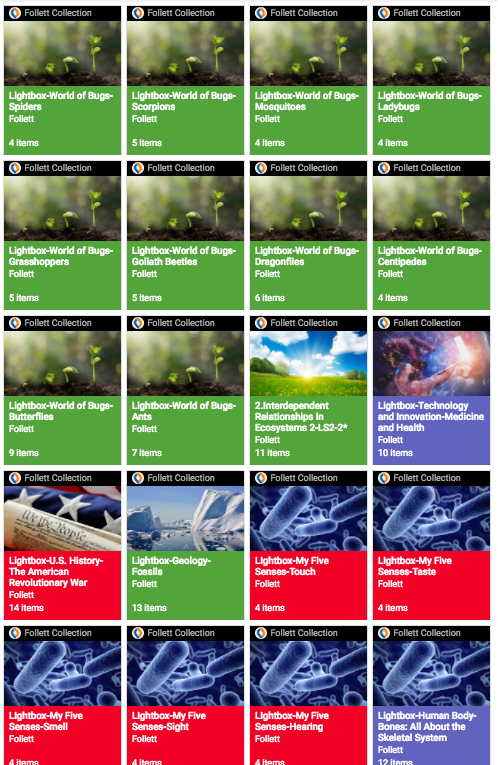 They have created and rolled out 150 featured Lightbox Collections! 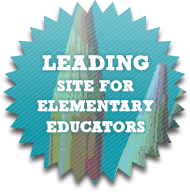 These can be found for grades PreK to 12th grade focusing on topics from science, math, health, social studies and more. These special Collections by Destiny are the perfect addition for 150 Lightbox titles. 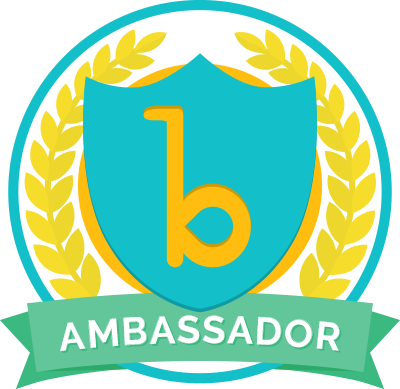 Lightbox is a fully interactive, multidimensional, supplemental solution for PreK-12 educators looking to improve engagement and literacy skills. 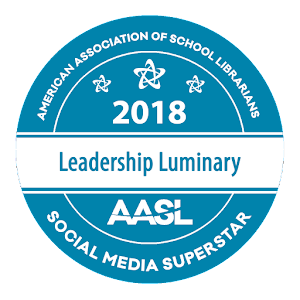 It supports the varied approached you use to help students master the standards and accommodates the needs of all learners, according to the Follett site. As you can see, these new Collections will be another wonderful addition to each Lightbox title bringing even more resources and project ideas to our teachers, while encouraging engaging and meaningful learning experiences for our students. 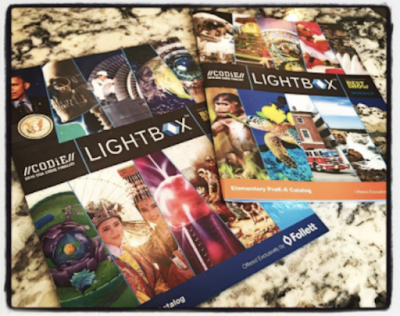 Within each Collection, you will find resources that have been specially curated to compliment the subject of specific Lightbox titles. 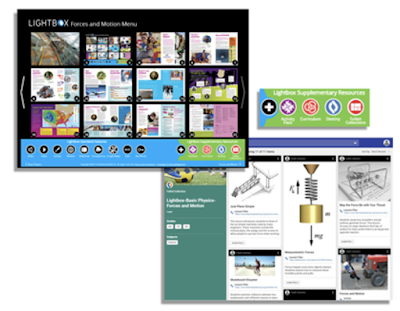 In addition to the many ways students can engage with Lightbox content, including embedded videos, activities, maps and illustrations, Featured Lightbox Collections include opportunities for extension and further exploration of Lightbox content. Each includes free OER (Open Education Resources) articles, interactives, and videos that extend the Lightbox experience for students and teachers. 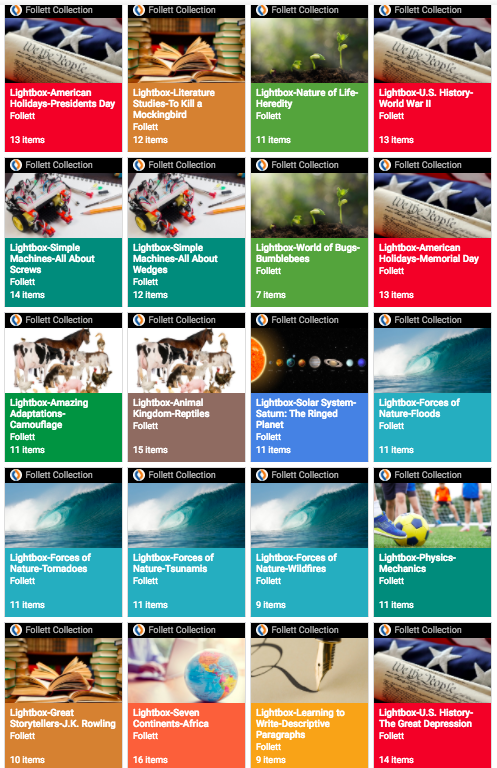 All links in Featured Lightbox Collections are assured to be live and working. Each night links are verified and validated for content to make sure content is active. 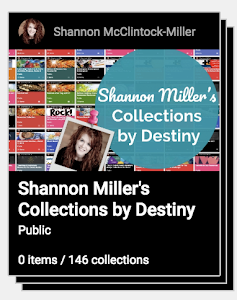 The Lightbox Collections can be found with the Public Collections within Destiny Discover. 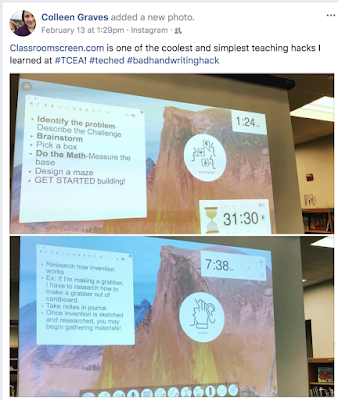 Tools, including lesson plans, presentations, assessments and worksheets, not only give teachers new ideas for instruction, but also save their valuable time, finding and providing the resources so teachers do not need to on their own. 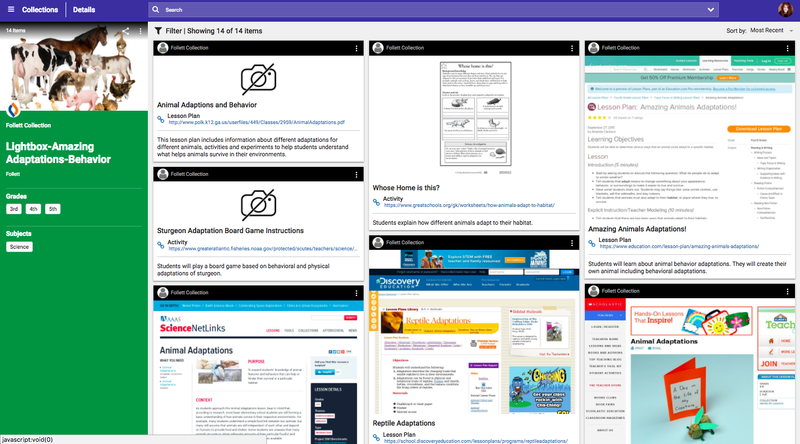 Through the use of Featured Lightbox Collections, teachers are accessing a tool designed to create new, collaborative ways for librarians, teachers and curriculum staff to share free or purchased resources across the district, school or between users. To use with junior high and high school....I love using children's books with the older ones and these would be perfect. Tie-in a possible project for the students. They can create their own Lightbox type book/eBook using a tool like Buncee....tie in videos, audio, images, text to create a digital story. Lightbox could be a great jumping off point for these type of projects. As you can see, these Collections have just what you need to help you bring learning to life in your library and classroom today. 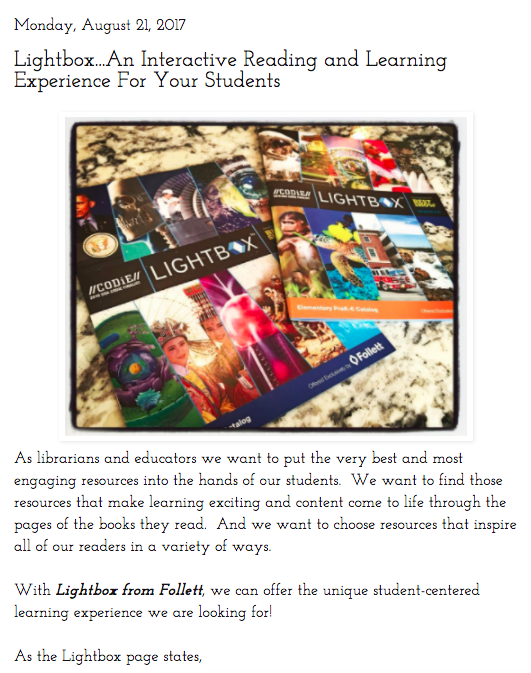 To find out more about Lightbox, please visit this link. 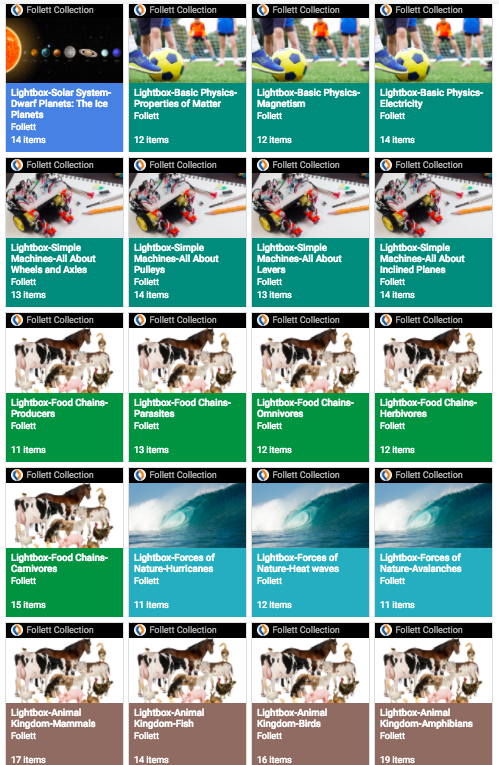 And you can read my post Lightbox...An Interactive Reading and Learning Experience For Your Students here. 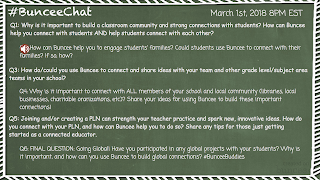 I am so excited about the next #BunceeChat coming up on March 1 at 8:00pm EST! These are always such wonderful chats as we discuss important topics and gain lots of ideas. 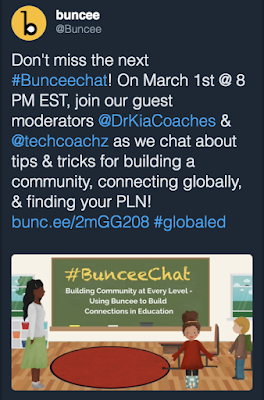 The focus for this #BunceeChat is Building Community At Every Level...Using Buncee To Build Connections in Education with Dr. Kia (@DrKiaCoaches) and Larry Zuares (@techcoachz). 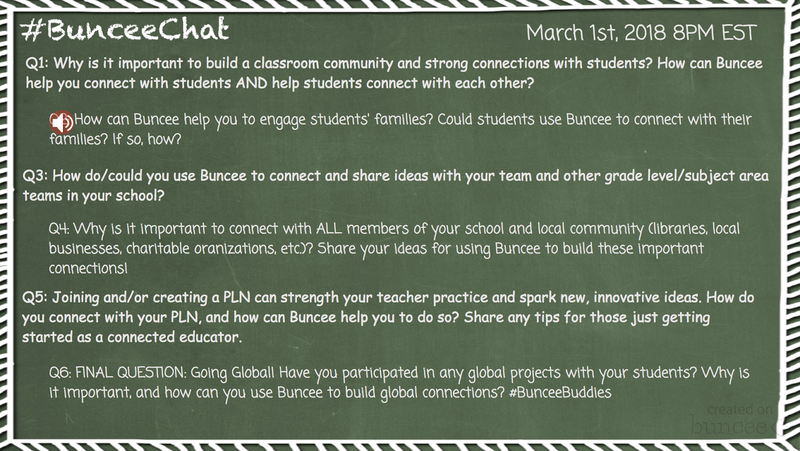 With the focus of the #BunceeChat being about building community school-wide in your classroom, locally and globally, these are the questions we will focus on during the chat. 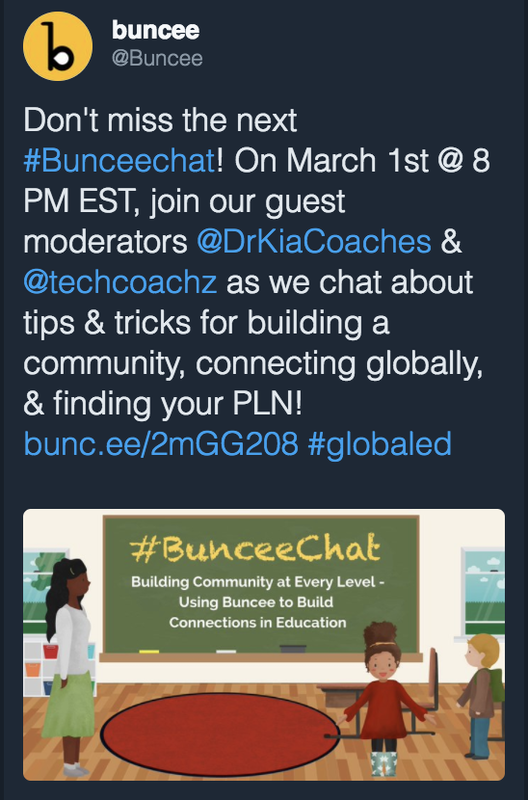 I hope that you can join us on March 1 for this wonderful conversation with Dr. Kia, Larry and so many other Buncee friends. 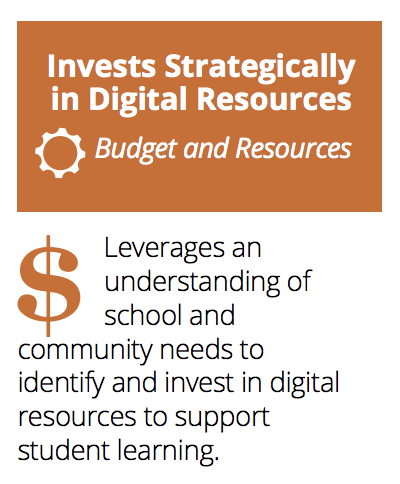 Ensures Equitable Digital Access....Week 6 In The Future Ready Librarian Collection Series! 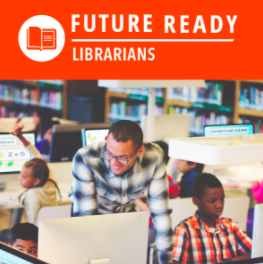 In January, I kicked off a new series of Collections by Destiny for all 10 of the Future Ready Librarians wedges. 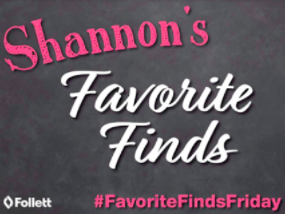 Each Friday, I am creating a special Collection for each one of the 10 wedges within the Future Ready Librarian framework for my Shannon's Favorite Finds that I share for #FavoriteFindsFriday. 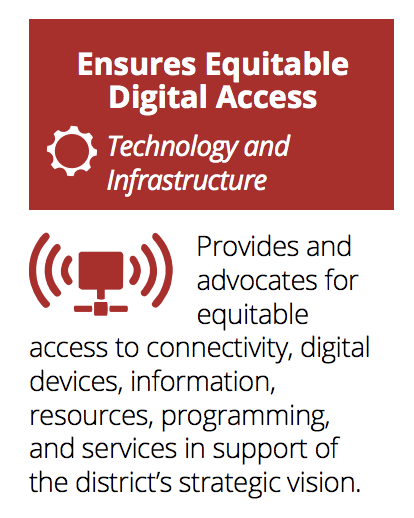 Today, for Week 6, I have created the Ensures Equitable Digital Access Collection. 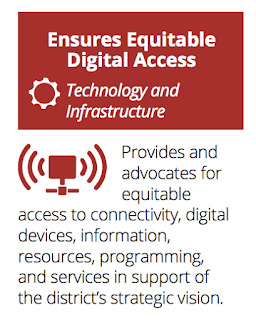 You will find the Ensures Equitable Digital Access here. 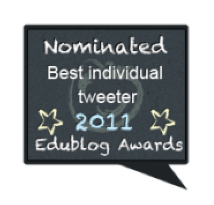 I will continue to add resources to this Collection and please let me know if you have some I should add too. I can also make you a collaborator on this Collection too. 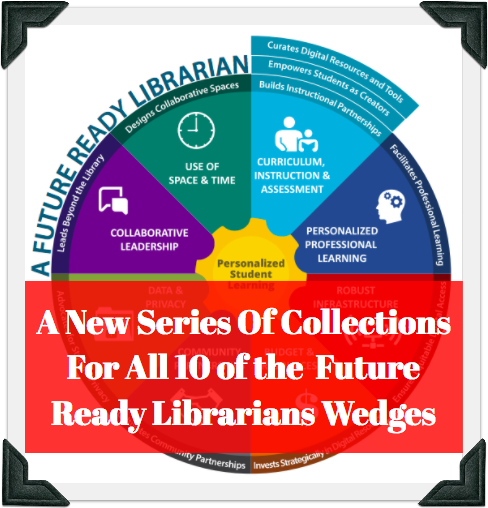 I added this one to The 10 Future Ready Librarians Wedge Collections Are Here Collection that you will find here. 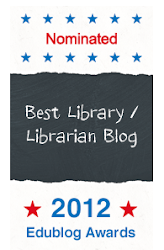 This is one to bookmark and then you could get to the entire series of Future Ready Librarian Collections anytime. 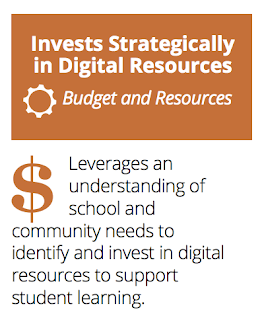 Next Friday, I will be sharing the Invest Strategically in Digital Resources Collection. 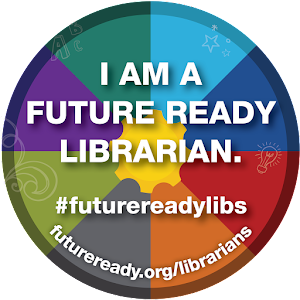 I love all of the sharing that takes place in the Future Ready Librarian Facebook Group and within our tribe as librarians and educators. I am inspired everyday by the wonderful collaboration and connections being made. 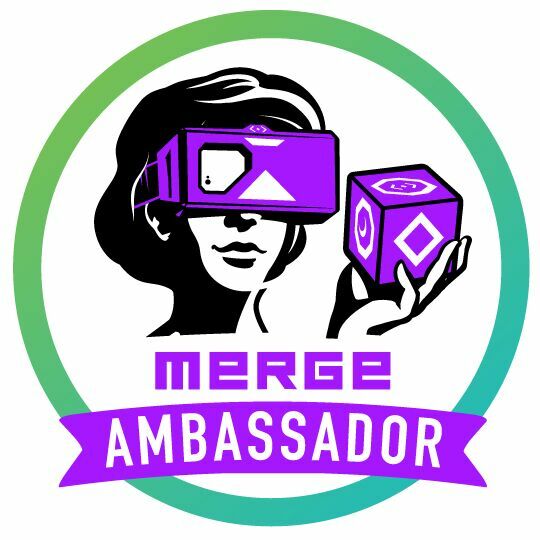 a Flipgrid she created. 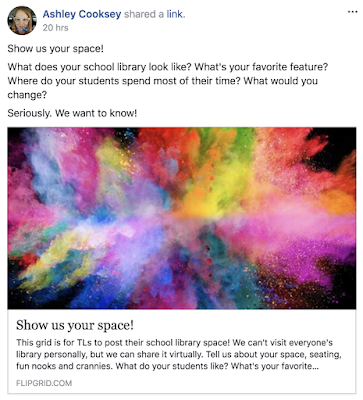 The Flipgrid is for teacher librarians to post their school library space and share what makes it special and unique. It can even be a place to ask for advice from all of us. It is easy to share. 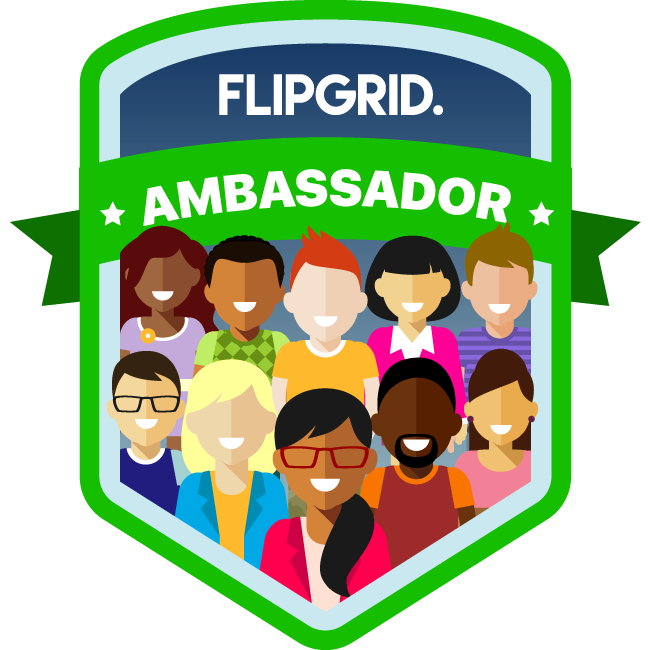 Just go to the Show Us Your Space Flipgrid here and record. Remember you can watch and make comments on others videos too. 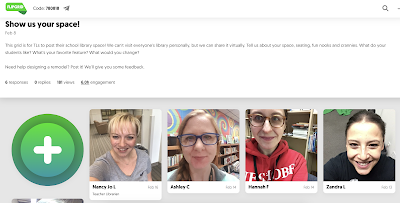 Thank you Ashley for creating this space for sharing our libraries. I've always wanted to visit everyone's library....now we can with this special space. ReadingCon...The Literacy Event Of The Year! Friends, mark your calendars for the literacy event of the year led by educators, favorite authors and me! 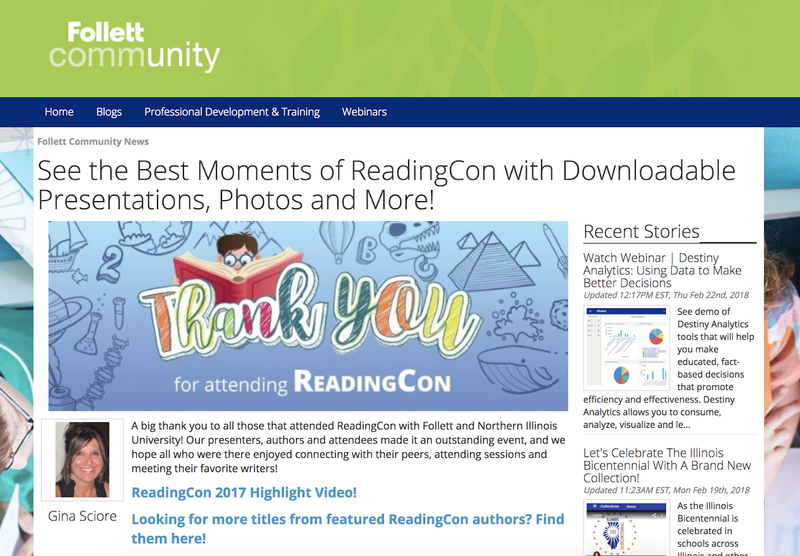 It is the ReadingCon on June 28, 2018. Registration is now open but seating is limited, so make sure you sign-up today. You will the link here. It will be at the Northern Illinois University Conference Center in Naperville, Illinois. And stay tuned for our amazing author line-up! I can't wait to share that with all of you. Last year was the first ReadingCon and it was so much fun. You can access the archives here. I hope to see so many of you there! It is going to a very special event and one that I can't wait for too. LIVE Facebook Event With Matt De La Peña and Loren Long To Share LOVE! 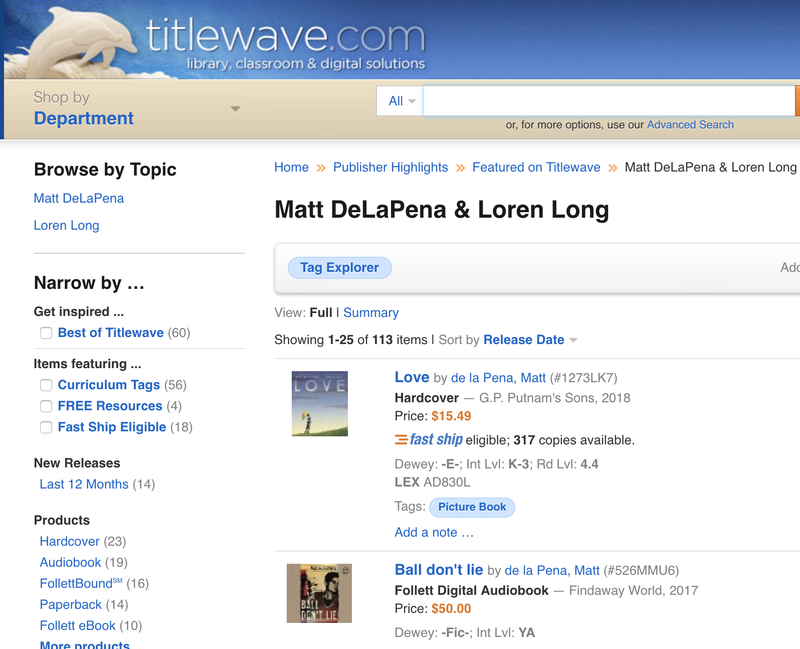 At the American Library Association Conference in January, our friends at Follett hosted a very special Facebook Live event with Matt De La Peña and Loren Long to share their new book LOVE. I couldn't wait to watch this and to share it with all of you. Also, I started a LOVE Collection by Destiny that you can find here. You will find the video of Matt reading, the LOVE book trailer from Penguin Kids, articles and more. 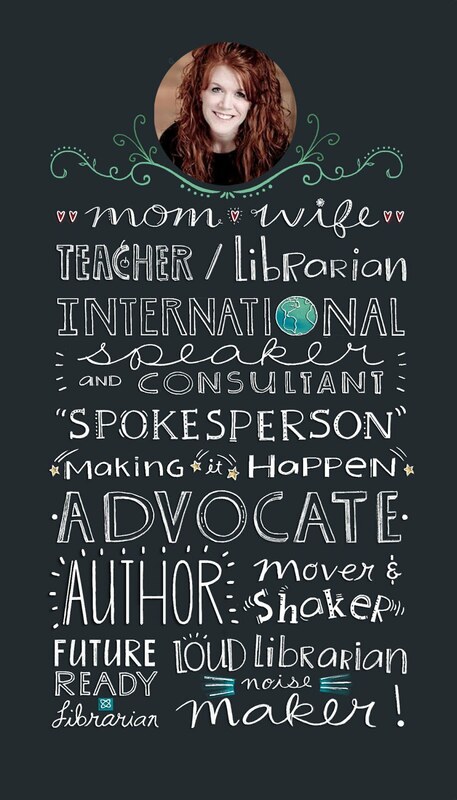 Please let me know what else we should add or if you'd like to be a collaborator to add things. As you bring LOVE to your library and school community, you will find LOVE and many other books by Matt and Loren in this Titlewave List they have brought together for us. It is filled with so many fantastic titles! I added this to the LOVE Collection too. I hope their interview fill all of you and your students with inspiration, hope and of course... LOVE. A digital collection is an essential part of today’s school library. 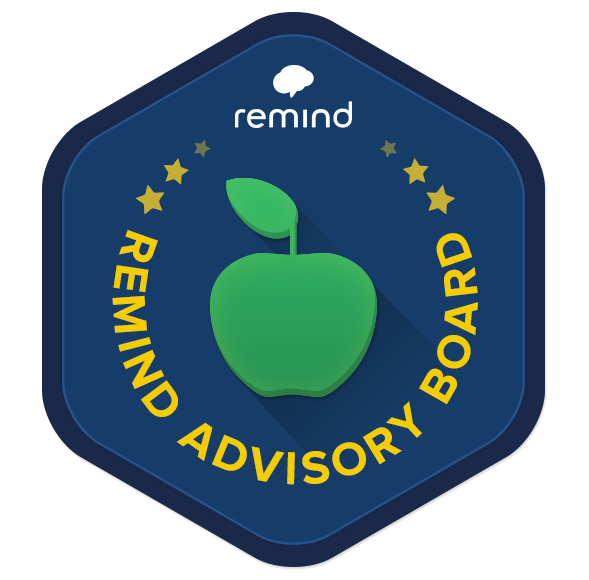 Not only does it support our future ready students by ensuring equitable digital access to information and resources, it also empowers student voice, inquiry, and creativity through a variety of platforms and tools. 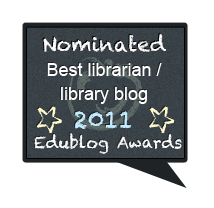 As a Future Ready Librarian, I worked very hard to develop my school’s digital collection over the years. 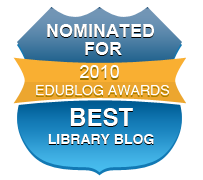 It grew into a beautiful, diverse, and engaging collection of eBooks, databases like PebbleGo, digital tools and apps, and other online resources. And I was always looking for ways to promote it among the school community. When I first introduced the digital collection to our community, I thought to myself, This is going to be awesome! 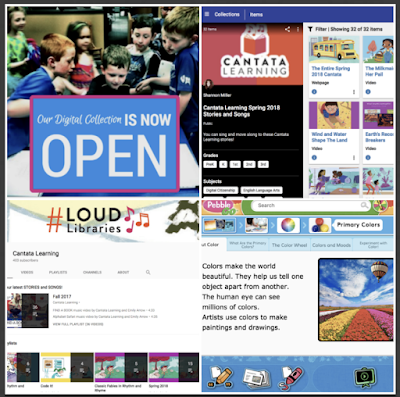 The students will love all of the digital resources, the teachers will use them every day in their classrooms, and families will be thrilled to have access at home and on the go to such wonderful content for their children. Well, that wasn’t the case. Not even close actually. Even though I told everyone about our amazing digital resources, there was hardly anyone using them anywhere. In fact, a lot of people would say, Oh, I always forget we have those… or That’s right! Tell me again how we get there? 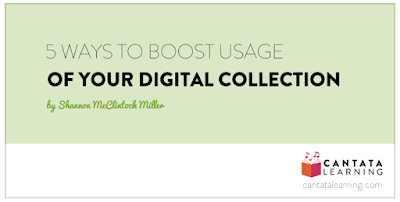 So, I took a few steps back and started over by doing a lot of things to boost the digital collection’s usage! 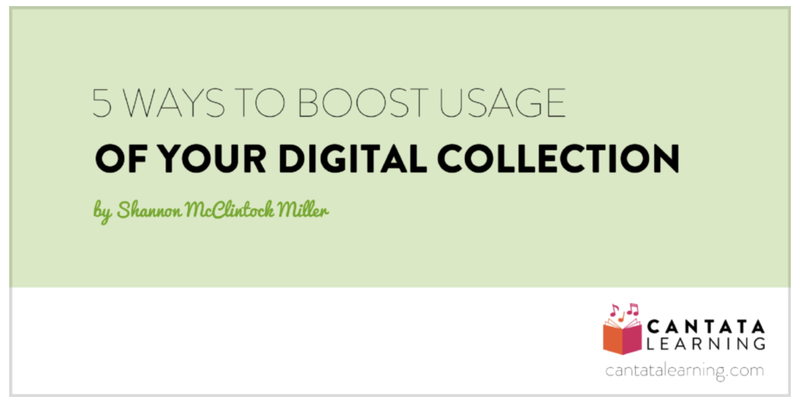 You will find all 5 of the ways to boost usage of your digital collection here on the Cantata Learning blog. 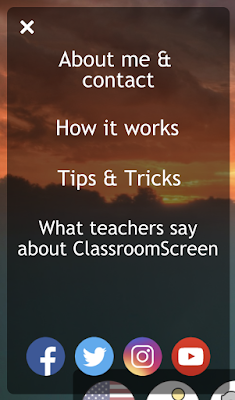 Set Your Students Up For Success With Classroom Screen! 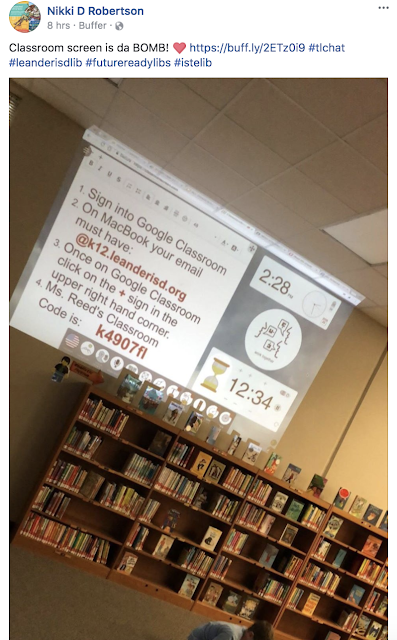 While reading through posts and tweets after the TCEA Conference, I came across one that was especially intriguing from my friend and librarian Colleen Graves. She shared, Classroomscreen.com is one of the coolest and simplest teaching hacks I learned at TCEA! How cool! 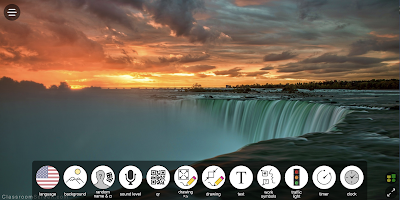 You can quickly get a timer, textbook, QR code, noise meter, drawing tools, work symbols and more! I went to the site right away to check it out. a screen that looks like this. The first thing I did was click on the circle in the left hand corner. This gave me a little background on the developer Laurens Koppers, who is a teacher in the Netherlands. 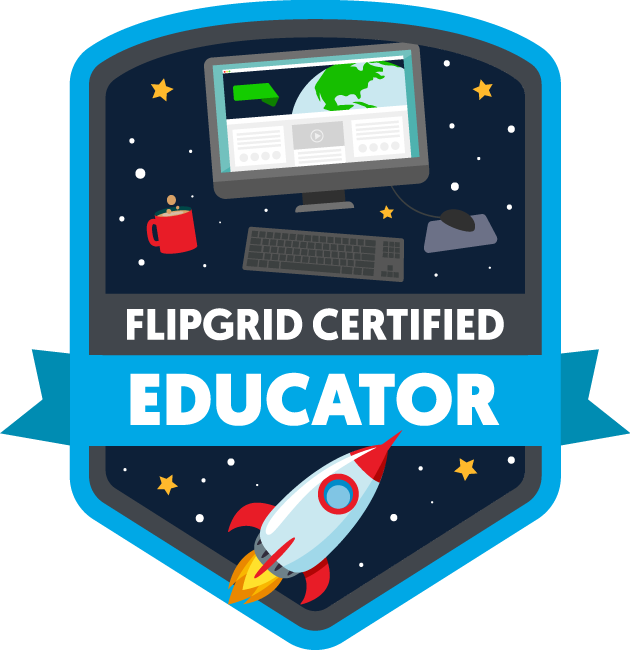 I loved finding this out because tools that are created by teachers for their classrooms are often times the best! 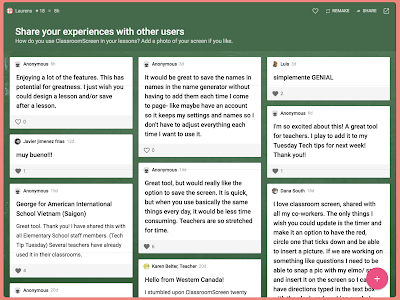 and a Padlet for Sharing your experiences with other users. I was ready to use Classroom Screen myself! 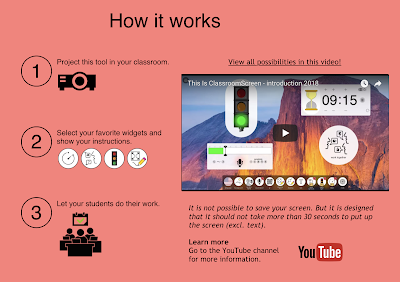 You will see this amazing tool bar at the bottom of the screen that lets you add so many different instructions for your students. I gave it a try by thinking of a way I could use it this week. 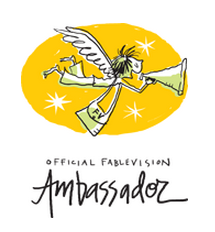 Tomorrow I will be celebrating Digital Learning Day with a few little friends around the country on Skype. I will be sharing Staying Safe Online, the book I wrote with Cantata Learning. 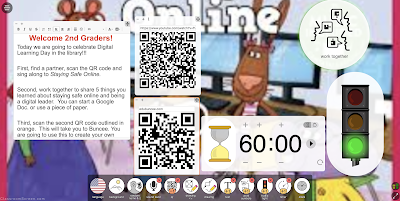 I thought it would be fun for the students to learn the song, write down 5 things they learned about being digital leaders and then create a Buncee sharing what they learned. On the Classroom Screen I created, I included the directions using Text. 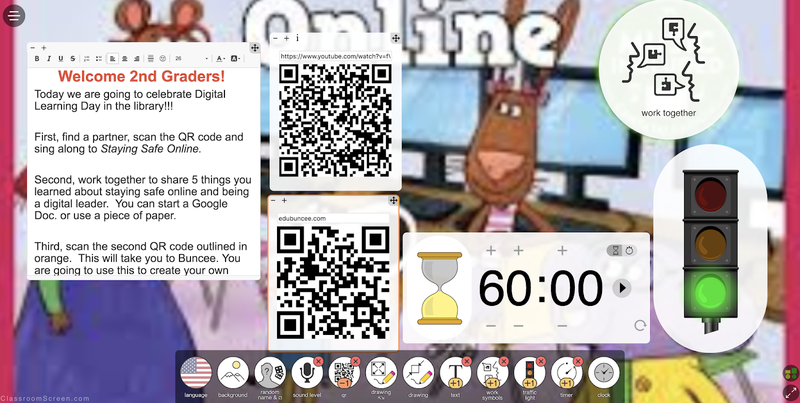 I included two QR Codes....one to the Staying Safe Online YouTube video and one to Buncee. I also added a Work Symbol for working together, Class Timer and Traffic Light. I also changed the Background by adding an image of the Staying Safe Online cover. Once you have added the directions that you want and your Classroom Screen is ready, project it onto a screen in your library and classroom and let you students get to work. I love this! It was so quick and easy to create this place students could go when they came into the library or classroom. 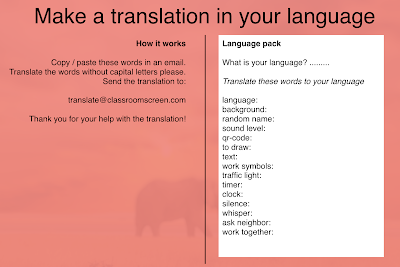 you can click on Add a Language and it will tell you have to make a translation in the language you want too. Today, I loved seeing my friend and librarian Nikki Robertson shared this post from her library and I have seen a few others share how they are using it too. 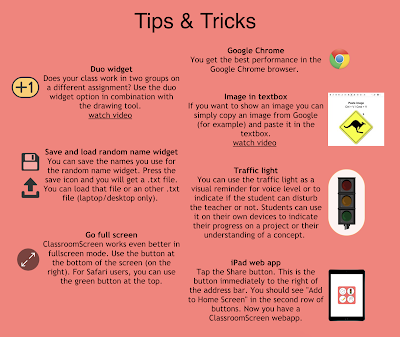 And it isn't just to use for students. 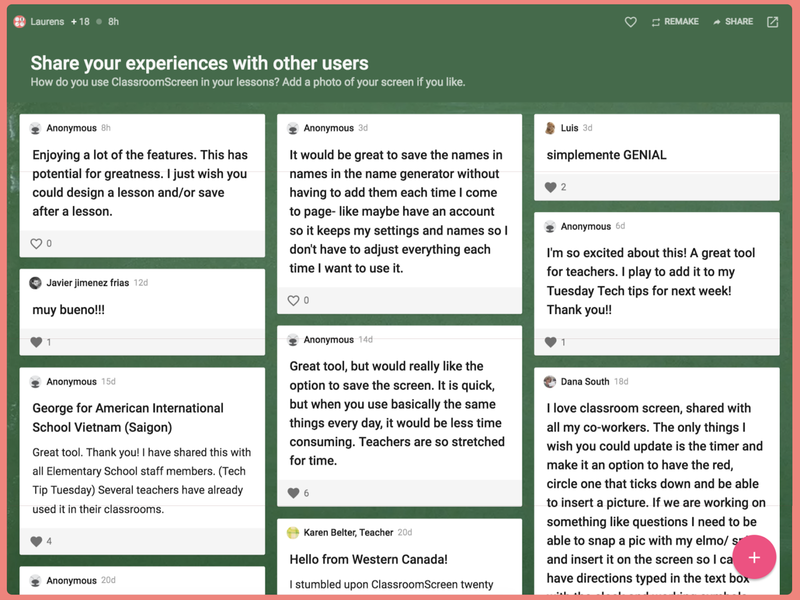 Classroom Screen is a wonderful tool to use with teacher too. 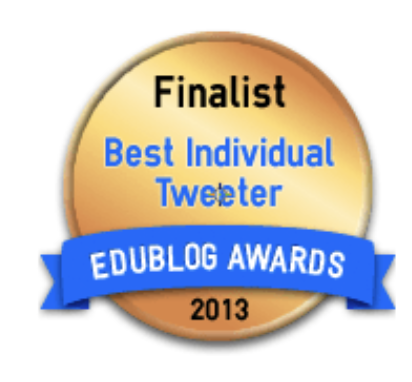 In fact, I even used it in India last week with the teacher librarians I was with there. 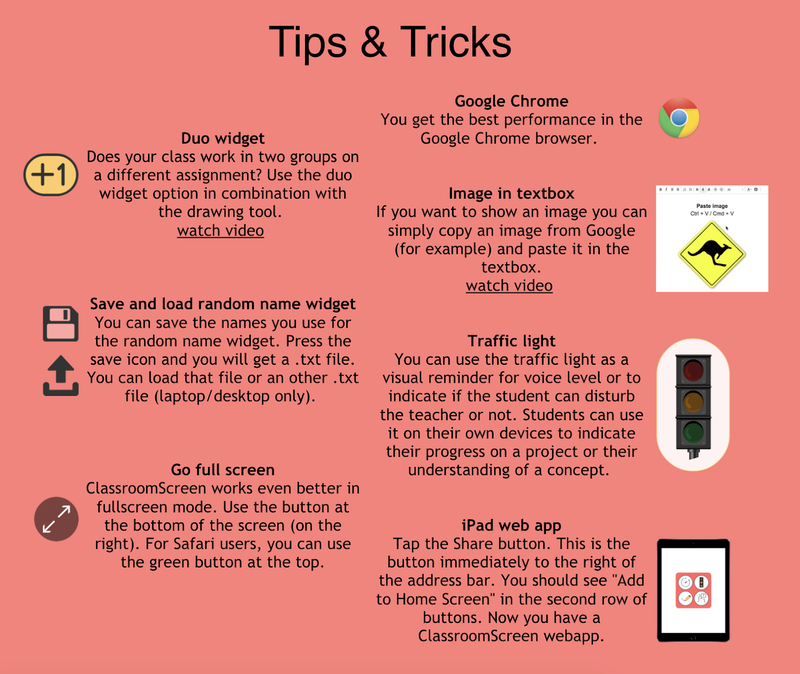 As you learn more about Classroom Screen and bring it to your classroom and library, check out the video below for more tips and information. I can't wait to see how you use it too! A Digital Learning Day Collection! Fixed Resource Cards In Collections Are Here! 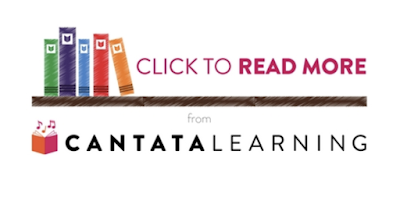 Celebrate Diversity with Cantata Learning!